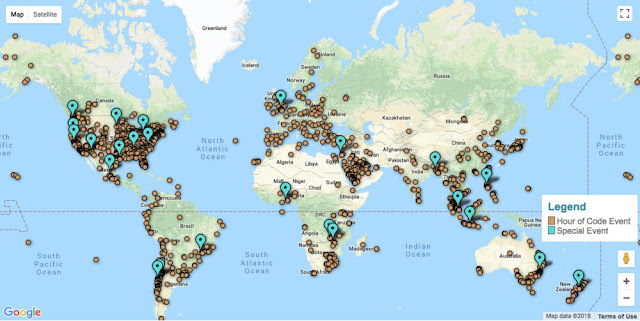 Hour of Code​​ is an international event held during Computer Science Education Week, December 3rd-9th. The Polytech​ is pleased to host an Hour of Code event at their newly remodeled campus. We live in a world surrounded by technology. And we know that whatever field our students choose to go into as adults, their ability to succeed will increasingly depend on understanding how technology works. But only a tiny fraction of us are learning how technology works. Only 35% of all high schools teach computer science. The Polytech not only offers computer science courses, they offer a way for high school students to begin training for a career in the technology field. As part of their commitment to make high-quality advanced workforce education courses​ available to teenagers, The Polytech is joining in on the largest learning event in history: The Hour of Code. More than 100 million students worldwide have already tried an Hour of Code, and all of The Polytech staff and students are ready to participate. To encourage others to participate in The Hour of Code, The Polytech is opening its campus to the community. Anyone is welcome to visit the campus and complete their one hour of coding instruction during regular business hours of 9:00 am to 5:00 pm during the week of December 3rd. Join The Polytech to complete your Hour of Code and learn foundational 21st-century skills during Computer Science Education Week! The Polytech is a WA-State approved private school serving students in grades 11-12 through a combination of small group and one-on-one instruction, college courses taken in partnership with local community colleges, and internship experiences. Students may earn industry certificates, college credits, and a high school diploma at the same time. For more information, call 206-557-4646 or visit thepolytech.com. The Polytech is located at 540 NE Northgate Way Suite D in Seattle. Look for us behind Starbucks!